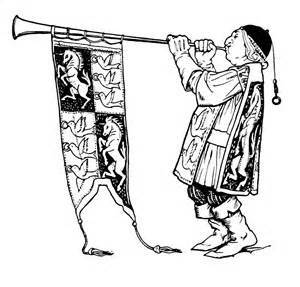 When crafting bags were introduced, they were a game changer for crafters lucky to have one. While crafting bags personify hoarding utopia, there were a few suggestions for improvement. 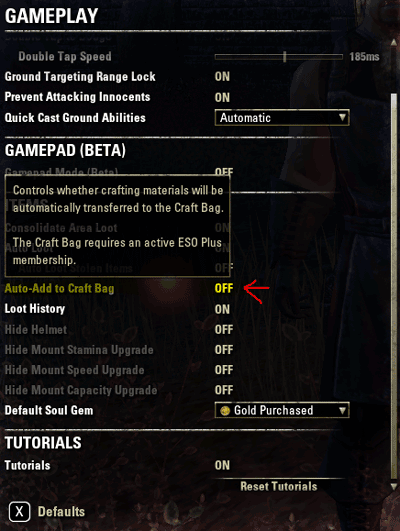 A small change to crafting bags in coming with OneTamriel(tm). A toggle will be added in the Gameplay settings that will turn off the auto storage into the crafting bags. Welcome to The Elder Scrolls Online v2.6.0, featuring One Tamriel! This update opens up the world of Tamriel for you to explore any time, and play with your friends no matter what level you are. Due to the significant changes One Tamriel brings to ESO, we’ve adjusted much of the current content and systems. In this update, you’ll find that we’ve made Craglorn more solo-friendly, added Normal and Veteran modes for all 4-player dungeons, re-designed the Undaunted Pledge system, added new world bosses, and made some fairly sizeable itemization changes and updates – you’ll definitely want to check out all the details below. In addition to One Tamriel, we’ve also added dueling, Weapon Ultimates, and added new daily quests. We’ve also added 16 new Monster Masks, and raised the Champion Point cap by 30 points. As with previous updates, we’ve also implemented many fixes and improvements to previous DLC game packs and the base game patch. Please note that the recently-announced Crown Crates will be available to test in a future PTS incremental patch. We can’t wait to hear what you think of this update, all of which will be free for all players and is approximately 3.81GB in size.